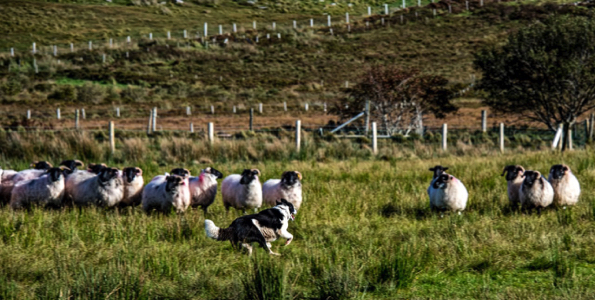 Glen Keen, one of Ireland's largest working sheep farms is located on the heart of the Wild Altantic Way on the R335 just 6.2 miles from Louisburgh, County Mayo. 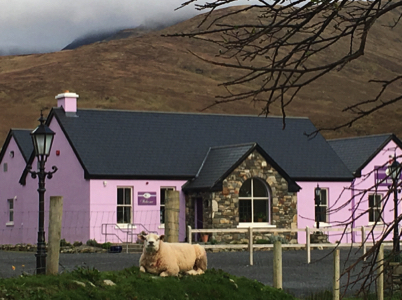 Glen Keen is one of Ireland's largest Sheep Farms located just 10km from Louisburgh on the Wild Atlantic Way R335 in the direction of Leenane. The majestic setting of Glen Keen in this EU designated Special Area of Conservation makes for a true connection with nature, peace and tranquility in all of its glory. This single family owned farm has been farming here over 5 generations, the farm and its landscape provides the authentic story of Irish History through the centuries. 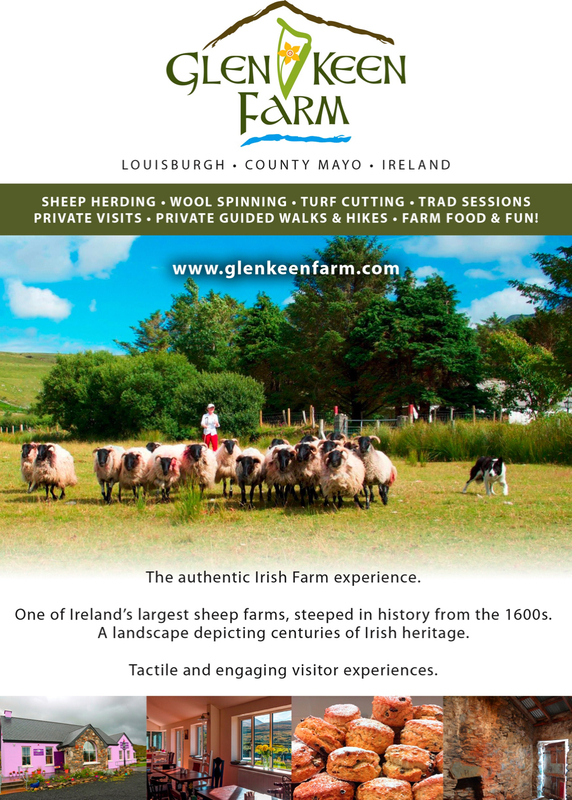 Catherine, Jim and their son James powers own and operate Glen Keen Sheep Farm and Visitor experience. 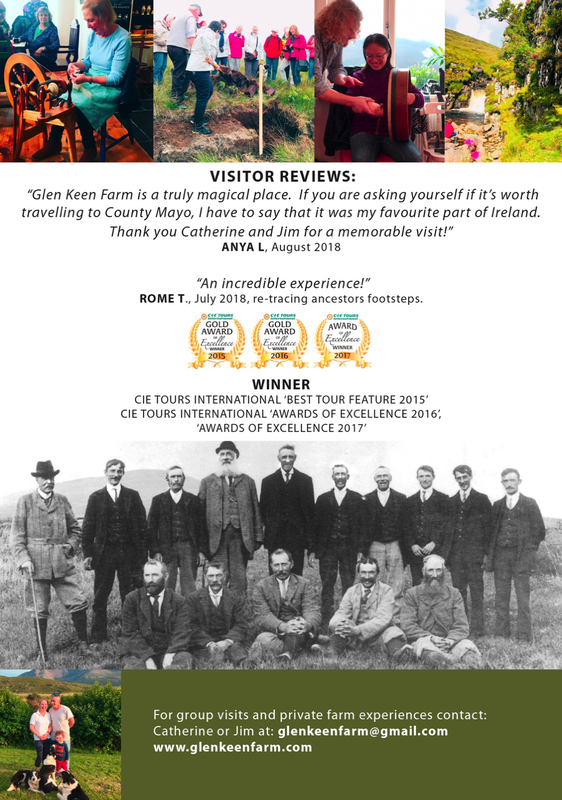 The Glen Keen visitor experiences which include; Sheepdog Herding, Turf Cutting displays, Irish Music Sessions, Guided walks to bronze age sites and breathtaking scenery are designed for Group bookings of 20 guests or guests can book a private visit.